Glad Tidings is a Christian church. We follow Jesus, we teach from the Bible, and we worship God as the Creator and ruler of the universe. Through our relationship with Jesus Christ, we are healed, renewed, redeemed, forgiven, and transformed. It's our passion to share this faith and hope with the world. There is One True God. He has revealed Himself as having always existed without any outside cause or agent bringing Him into being (Isaiah 43:10). He is the Creator of heaven and earth (Genesis 1:1) and the One who redeems, saves, or rescues mankind from sin and its painful consequences (Isaiah 43:11). The One true God consists of the Trinity - the Father, Son and Holy Spirit. They are coequal, of one nature, power and authority and yet distinct. The Lord Jesus Christ is Fully God. Jesus Christ is the only begotten Son of God. He is coequal with the Father and Holy Spirit. He lived a sinless human life and offered Himself as the perfect sacrifice for the sins of all people by dying on a cross. We believe in His deity, His virgin birth, and that He died on the cross as a sacrifice for the world’s sin to reconcile all people to God by His shed blood. Also referred to by His title as the Christ, He rose bodily from the dead, ascended into heaven and is at the right hand of the God the Father. He will return someday soon when He will judge the living and the dead and will reign as King of Kings. We believe in the present ministry of the Holy Spirit by Whose indwelling presence, fullness and empowerment the Christian is enabled to live a godly life in this present world (John 14:16-17; John 16:12-15; Acts 1:8). The Holy Spirit is coequal with the Father and the Son of God. He is present in the world to make all people aware of their need for Jesus Christ. He also lives in every Christian from the moment of salvation. He provides the Christian with power for living, understanding of spiritual truth, and guidance in doing what is right. He gives every believer spiritual gifts when they are saved. As Christians we seek to live under His leading and guidance daily. The Bible is the Inspired Word of God. It is accurate, authoritative, and applicable to our everyday lives. It was written by human authors under the supernatural guidance of the Holy Spirit. It is the supreme source of truth for living and worldview. We believe that the Old and New Testaments constitute the Holy Scriptures. People are the supreme object of God's creation. We are made in the spiritual image of God, to be like Him in character. We were created good and upright, for God said, "Let us make man in our image, after our likeness." However, mankind by willful choice in the beginning (and evidenced by continued personal choice and inclination in the present), ignored God's instruction... choosing to engage in what was known to be wrong and evil. As a result, mankind fell from innocence and goodness and thereby incurred not only physical death but also spiritual death, which is separation from God. And unless a person experiences the remedy of Christ’s substitutionary death on the cross for this separation, he/she will face separation from God for eternity. It is because of this, that although every person has tremendous potential for good, we are all marred by an attitude and propensity towards disobedience to God called "sin". Sin separates us from God and causes many problems in our life. Salvation is rescue (or deliverance) from spiritual death and the enslavement of sin. God only provides this rescue (also known as: salvation) for all who believe and accept His free offer of forgiveness provided through the substitutionary death of Jesus Christ on the cross. Salvation is God's free gift to us, but a person must freely accept it. We can never make up for our sin by self-improvement or good works. Only by trusting in Jesus Christ as God's sole solution to our sin problem can we receive forgiveness for our sin and be rescued (saved) from it’s penalty. It is then that we turn from living a self-ruled life and turn to Jesus in faith to live according to His rule that we are saved. This is called repentance. Salvation begins the moment one receives Jesus Christ into his life by faith. he saved and unsaved (those rescued from sin those who are not) will be resurrected from the dead. The saved (those who have put their faith in the Lord Jesus Christ and thus having received forgiveness for their sin) will be resurrected unto eternal life and peace in heaven. The unsaved (those who have not put their faith in the Lord Jesus Christ) will be resurrected to judgment and eternal torment with satan and his fallen angels. People were created to exist forever. Each of us will either exist eternally separated from God because of our un-dealt-with sin or eternally with God through the forgiveness and salvation found in Jesus Christ. A person eternally separated from God will have his eternal existence in hell (a.k.a. the Lake of Fire). A person rescued from sin will find his/her eternal home to be in Heaven with God forever. Heaven and hell are real places of eternal existence. Water baptism is symbolic of the death, burial and resurrection of Christ. Once we have accepted Jesus as our Lord and Savior, baptism is a way for us to publicly declare our new life in Christ. It is also a step of obedience based on God’s commands and allows us to follow the example of Jesus, who submitted Himself to baptism to "fulfill all righteousness." We believe in the power and significance of the Church and the necessity of believers to meet regularly together. Have a question about what we believe? Get in touch with a person on our lead team by clicking the button below. 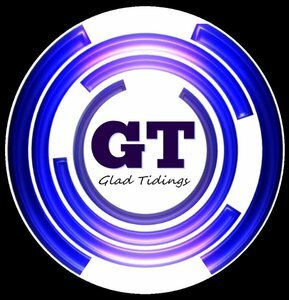 Glad Tidings is part of the Assemblies of God Fellowship - a growing multi-ethnic, pentecostal denomination in the United States and throughout the world. The Assemblies of God values the Bible as the Word of God, the gift of God's grace and ever-deepening spiritual life that comes through faith in Jesus Christ, the importance of extending God's love and compassion to a hurting world, and the strength that comes from walking with God through the empowerment of the Holy Spirit. Copyright 2019, Glad Tidings Church. All Rights Reserved.